JBL has introduced its JRPOP ultra-portable, kid-friendly speaker. 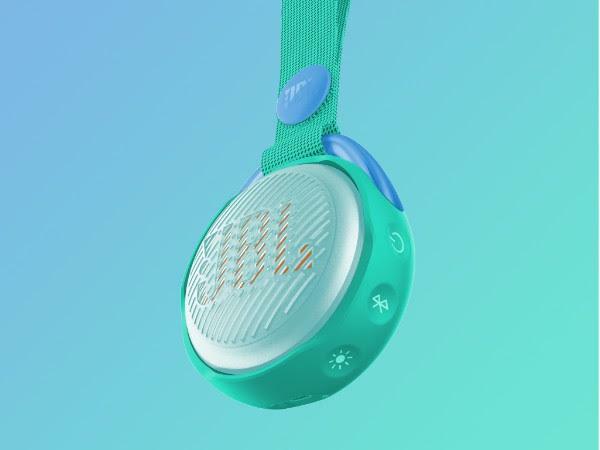 JBL’s latest addition to the JR series combines Bluetooth connectivity with accident-friendly materials, IPX7 waterproof features and a fabric strap. The speaker also has built-in multi-colour lighting themes with vibrant colour options and customisable designs. The speaker offers up to 5 hours of playback on a single charge.